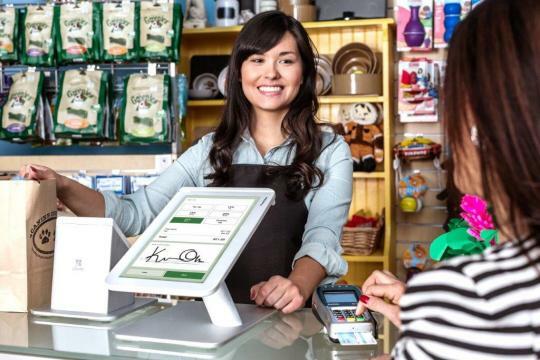 Is Your Business Taking Payments the Way Your Customers Want to Make Them? The Senate resolved 12 years ago that the U.S. recognize April as National Financial Literacy Month in order to urge consumers to get their financial health in order. The National Foundation for Credit Counseling and Money Management International are two useful resources for individuals interested in doing that. But First Data’s Marianne Johnson suggests that April is also a good time for small businesses to undergo a financial check-up, not just for their own health but to make sure they’re up-to-date with how customers are spending money on their goods and services. Johnson is SVP and Head of Product, Consumer, and Network Solutions at the global business solutions company, which supports more than 4,000 financial institutions and more than 6 million merchant locations, including 100,000 small and medium-sized merchants that use its Clover point of sale and business management system. She told Aabaco Small Business what small businesses should be aware of on the payments front. “Today, being financially healthy includes understanding and utilizing the variety of options available when it comes to accepting payments,” Johnson says. Customers expect to be able to use any type of payment at checkout. Is your business providing the payment options your customers want? Gift cards are increasingly one of them. First Data’s 2015 Prepaid Consumer Insights Study measured current consumer opinions on prepaid gift cards–both plastic and virtual. The research showed the gift card trend growing, with 25 percent of consumers purchasing more plastic gift cards this year than last, and 41 percent purchasing more virtual gift cards. Mobile payments are another method small businesses need to adopt, Johnson says. Millennials and generation Xers especially will be looking to use Apple Pay, Android Pay, and Samsung Pay, according to First Data, which has partnerships with all three. "The ability to pay with the phone is the expectation for this generation,” Johnson says. “If I have the capability in my hand, I should be able to use it any time I’m shopping, and I can at larger merchants.” Johnson says mobile payments are inexpensive to implement and provide a seamless checkout experience for the customer. Providing the option now can be an opportunity for small businesses to differentiate themselves, she adds. Finally, just because you’ve gone mobile doesn’t mean you can stop accepting checks from customers. Many think they’re less susceptible to fraud. “Billions of dollars are written each year in checks with 9 out of 10 consumers having a checking account,” First Data reports. Accordingly, Johnson says the company’s Clover system incorporates TeleCheck technology to enable small businesses to easily accept and deposit checks.